As it turned out I didn't book the best day for this tour as it started raining heavily during the night, however it had stopped raining, at least temporarily, when I was picked up and taken to the Island Safari Camp. had completed the circuit and dismounted and headed to the next set of activities on a platform on the edge of the rice paddy. Here we had an opportunity sit astride a beautifully groomed Buffalo (another photo opportunity). After everyone who wanted to had had their turn on the buffalo we were treated to a short lecture and demonstration of traditional rice farming techniques. The next thing was something I was looking forward to, a Thai cooking demonstration, well not really cooking but preparation. Our guide showed us how to make Somtam (papaya salad), though in deference to the western palates of the other guests she only put 2 chillies into it, even so many people said it was very spicy when we got to try it. From here we made our way to the rubber tapping and processing demonstration, sadly as it had been raining it was not possible to collect the rubber, apparently the sap contains too much water if you tap it straight after rain, but we were shown how it is tapped and and processed to make large thin sheets of latex rubber which is then used in many products, they have examples of many of these, especially those that come in packs of three. Then it was on to the elephant ride, at the starting station you can buy bags of bananas for the elephants, then you head of on a track around the Safari camp whilst your elephant keeps putting back it's trunk to get a banana from you, during the ride the photographer will get you to pose for a number of photos and you have more chances to buy bananas for your mount, the ride lasts about 20 minutes. time of my visit there were two young elephants (10 & 12 years old) in the show, the show was made up of simple tricks such as standing on two legs and walking on three legs and playing football and basketball and throwing darts. The finale was the elephant massage, where everyone was given the chance to get a massage (and a kiss) from one of the young elephants. The next stop was the Monkey show where where the short tailed macaque monkey “Johnny” demonstrated the different steps of training monkeys go through to learn to harvest coconuts and then demonstrated his basketball skills, a slam dunk any NBA professional would be proud of. Then on to the Muay Thai (Thai Boxing) demonstration, or performance may be a better word. A boxing bout was performed at slow speed to make sure everyone could see the moves and then members of the tour group were invited to practice some of the skills with the boxers. Demonstrations finished it was on to the fish foot spa where after having your feet washed you sit on the edge of a fish tank with your feet in the water, after a few moment the fish start to tickle your feet, they are actually eating your dead skin. They didn't manage to make much of a difference to my calloused feet but it was pleasant, I thought they might hurt when they started cleaning around my partially grown back nail but it didn't. During the foot spa treatment the photographer came round with the photos he had taken during the day, you can buy these as a reminder of the day. The last activity for the day was the canoeing along the moo dong river, to get there we mounted pick up trucks with seats in the back and headed of on a ten minute drive to a small jetty on the edge of the river. As there was quite a current running it was decided that those that wanted to canoe should take the canoes down the river towards Chalong bay and then transfer to the longtail boat for the journey back to the jetty, for those whose preferred comfort the whole ride was done on the longtail boat. During the gentle drift along the river we saw the mangroves lining the river and passed a couple of fish farms which are also inhabited by a troop of long-tail macaque monkeys, after this pleasant little cruise along the river it was back into the trucks and back to the Safari camp for a delicious Thai lunch. The lunch included a range of classic Thai dishes – green curry, chicken with cashew nuts, sticky rice with fried pork and somtam. After our bellies were full it was time for everyone to board the mini-vans and head back to their hotels. The Multi-Adventure Safari is a fun, interesting and entertaining morning or afternoon, a brief insight into Thai life and culture. 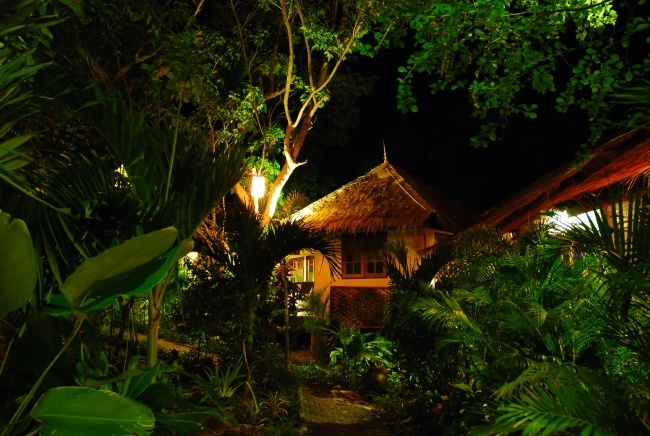 The Varinda Garden Resort is located on the hillside to the south of Lamai Beach on Samui Island, Thailand. It is two minutes walk to Lamai beach as well as Lamai restaurants, shops and beer bars. This quirky family run boutique resort is set within natural gardens and each room has it's own unique style. It's quiet, peaceful and very friendly. 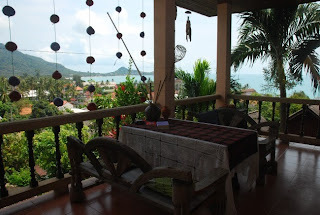 There are excellent views over Lamai bay from the restaurant and swimming pool areas. Boutique resort. 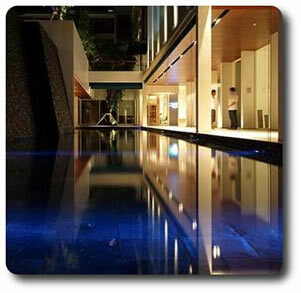 Suitable for couples or families who want somewhere quieter than Chaweng beach. Away from the crowds but just 2 minutes walk to the beach. Great views over the bay. Swimming pool, kids pool, restaurant and spa. Rooms have satellite tv. WIFI is available in the rooms for a small extra charge. 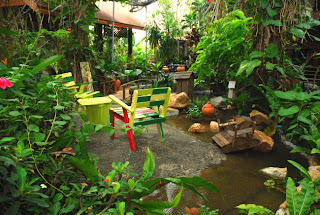 A lovely natural garden setting full of wild flowers and unusual ornaments. Friendly, family run boutique resort. Only a few minutes walk to the beautiful Lamai beach. Inclusive of: 2 nights twin sharing accommodation in a superior room, breakfast, private airport transfers (Samui airport or Pier), tax and insurance. If you have stayed at this hotel please leave a comment. Trasferimenti privati da/per l'aeroporto di Phuket. 3 giorni di immersioni a scelta con Sea Fun Divers. Trasferimenti per/da il porto di Chalong. In barca colazione, bibite e acqua a volonta', frutta, pranzo e snacks, te' e caffe'. Bombole e pesi, istruttore/divemaster (max. 4 subacquei per divemaster), Nitrox 32% . Attrezzatura subacquea (affitto set completo = 800 Thai Baht al giorno). Tutto cio' che non viene specificato come incluso. as usual we had a wonderful trip to Phuket... our friends on their first time loved every minute of it too.. everything connected to EDT was as usual a wonderful experience. 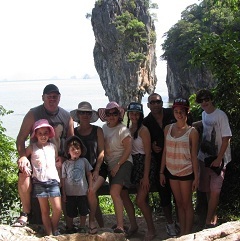 EDT ..and your.. high standard of service keeps us not only as a returning customer, but as one only too happy to give extremely positive reviews and recommendations to people who are planning trips to Phuket. From being met at the airport by friendly smiling faces, to the complimentary drinks you provided for us (which were extremely appreciated) in the van on our hotel transfer. the drivers and guides on the tours were excellent, only too happy to ensure we thoroughly enjoyed ourselves. it was just a pity that we did not get a chance to meet you and thank you in person. I cannot thank you enough for the flowers that you organised for my wife on our wedding anniversary, she was very surprised and suitably impressed. that truly was an awesome example of EDT's excellent attention to detail. We are in the process of planning another trip back to Phuket in Sept/Oct this year, so i have no doubt that we will be in touch soon to start on some details. I have some friends going to Phuket (based on all the great things ive told them, and all my holiday pics they have seen) in August and i have told them about you and will be strongly suggesting when they plan that they sit down with me so i can help them plan a few tours etc that im sure you will be able to help them out with. I am attaching a couple of pics so you can see the whole group that was there in 2012, and a pic just of my family so you can see who we are. The Easy Day Thailand team is currently creating a brand new website dedicated to Phuket Island.